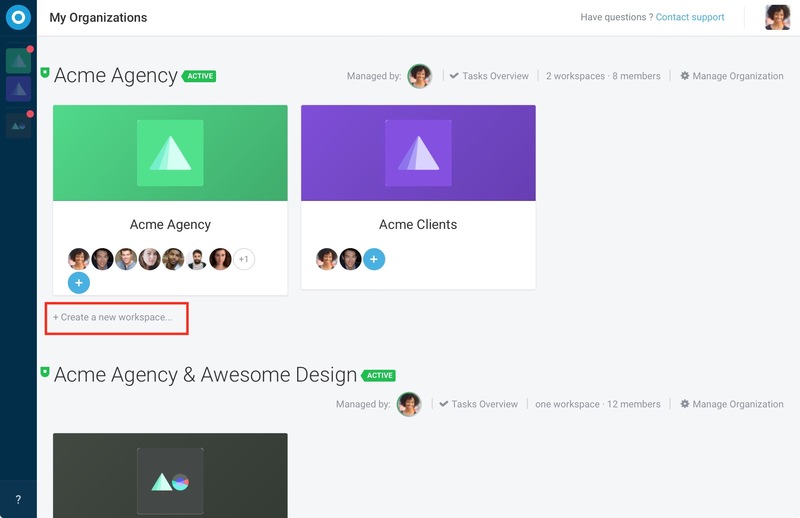 Workspaces are essentially how you divide your teams and only Subscription Managers can create new Workspaces. To do so, head out to the Manage subscriptions and billing page and simply click on the "Create a new workspace" link. The Workspace will be attached to the subscription named above. After clicking "Create a new workspace", you can enter the name of your new Workspace. Once this is done hit [Enter] or click on "create"
Your new Workspace is then created and accessible. You can start inviting people, creating subjects and collaborating easier. No worries and be relax : Information can only be shared on one workspace at a time. Workspaces are separate and do not share any information with one another.